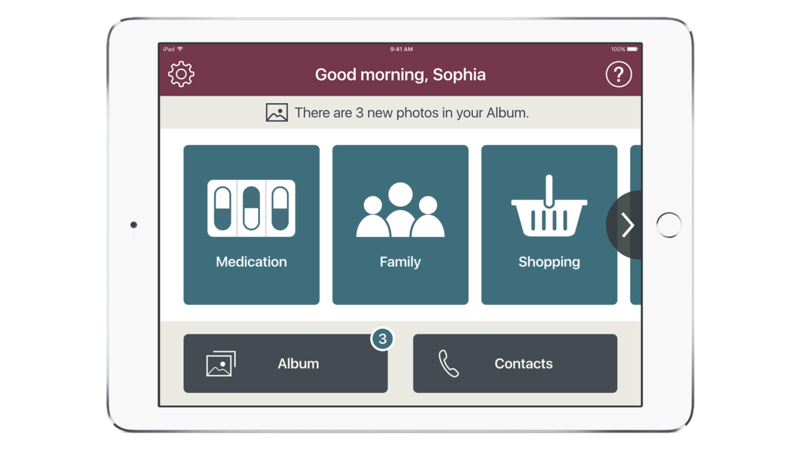 IBM MobileFirst for iOS Elder at Home is part of an Aging at Home suite of apps. Elder at Home connects seniors with support services staff, loved ones, local community services, and other connected ecosystem providers. The simple interface design and natural voice interaction for accessibility provides seniors with a heightened feeling of independence and a sense of security. Elder at Home provides a friendly format for the senior to view his or her daily activities. It offers medication and appointment reminders and can be a means for alerting a provider staff worker through the associated Elder Support app. Using a simple, intuitive interface seniors at home confidently interact with family, friends and support services. Information alerts keep them connected to community activities of interest. Knowing simple routines are within their control, seniors enjoy shopping for themselves and hiring services for home repairs. Having this autonomy instills a sense of freedom and independence. Daily routines and rituals are very important to elders. With a daily check-in and time triggered events, seniors are prompted to take specific actions such as taking medication or calling the doctor. A voice-over interface for natural language interaction between the senior and the app produces a richer and more human like audible experience.